At Bristol Construction, we can help you achieve a brand new look for your kitchen. Whether you want it redesigned to improve functionality or enhance its beauty, we are the contractor to hire. We have been the leading kitchen remodeling company in California, particularly in Land Park, Sierra Oaks, Sacramento, Folsom, Carmichael, Eldorado Hills, Rancho Cordova, East Sacramento Orangeville, and Davis. We value our clients’ needs and always make it a point to pour extra efforts to satisfy their requirements. With us, you’d surely be satisfied with the quality of our work and the professionalism by which we handle the job at hand. Call us soon. 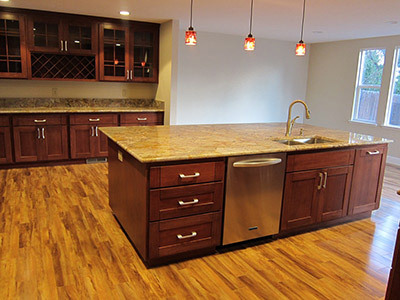 We can achieve specific themes that clients desire when doing kitchen remodeling. Among the kitchen themes that we can adopt include Tuscan, Italian, Country, Traditional, and Contemporary. You can simply tell us the look that you wish to achieve, and we will recommend the right theme to you. We have the best people who will listen to your expectations and adopt the best theme to provide the results that you have in mind. Our crews have worked on so many remodeling projects, so you can count on them to perform the right methods and techniques for outstanding results. Kitchen remodeling is an inherently costly project that could drain your budget when you hire a wrong company. At Bristol Construction, we understand this, so we always work based on our clients’ budget. Our past clients in Land Park, CA and other cities that we serve could attest to the fact that we only charge competitive rates for the services that we render. But despite our low pricing scheme, we still provide outstanding work quality that leaves clients smiling and fully satisfied. There are a lot of great ways to achieve the kitchen that you envision. As what we have done in past kitchen remodeling projects in Land Park, we can make simple changes that can provide great results. For example, we can change the current lighting into LED fixtures for optimum power savings, or add modern kitchen appliance for efficient and effortless meal preparations. We can also replace your old floor tiles with elegant flooring for an aesthetic boost. Let us know your desired results, and we will do the appropriate remodeling techniques to come up with your expected outcomes. We aim to be the one company that California clients will utter and trust when they want unquestionable work ethic and extraordinary results. 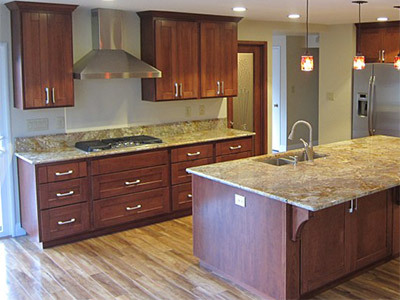 We specialize in kitchen remodeling and we have a long list of completed projects to show as proof of our competency. Please dial (916) 798-4827 right now so we can talk about your specific remodeling needs and offer you the right solutions that will lead to the kind of kitchen you’ve been dreaming of.